Target bust stands audience at low cost by availing our wall painting in Gujarat bus stands service, wherein you will get a wide catalog of the Gujarat bus stand to target specific audience and unmatched quality wall painting at best rates. 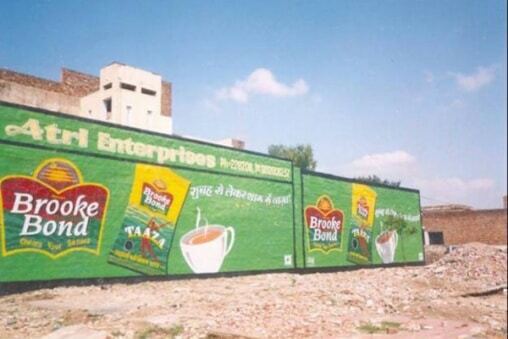 We are distinguished as the best outdoor advertising company in Ahmedabad as we go the extra mile in every venture for the excellence and the same you can privilege by investing in our wall painting in Gujarat bus stand service. We pursue best sites in the bus stands across Gujarat in conjunction with the team of the experienced painter having proficiency outline photorealistic paintings for your venture that is capable enough to infiltrate in every passerby’s mind and convince the message your brand meant for. Our experience in the wall painting has enabled us to learn effective ways, employ scientific and computerized methods to make the painting interesting and cogent enough, and therefore we hold 100+ wall paintings in Gujarat bus stands today. Entrust your promotion to us today for eye-catching visibility of your brand across Gujarat at the best rates.